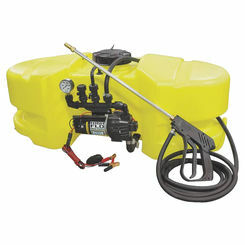 The AG South Gold SC15-SS-GTNS is a spot sprayer from the Gold series. A handgun with an adjustible lip, a polyethylene tank and a 12-volt diaphragm pump. 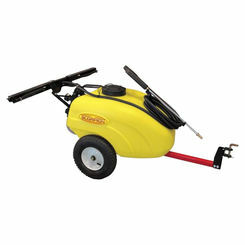 It sprays on the spot exactly wanted and it is great for applying insecticides and herbicides. 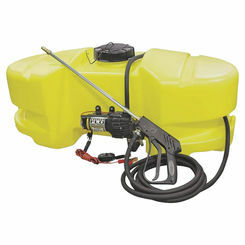 The High-Flo pump can draw 7 amps and has an output of 2.1 gallons per minute at 60 PSI. It has a 5" screw-on cap for easy filling and molded recesses on the tank for the handles and the hoses. 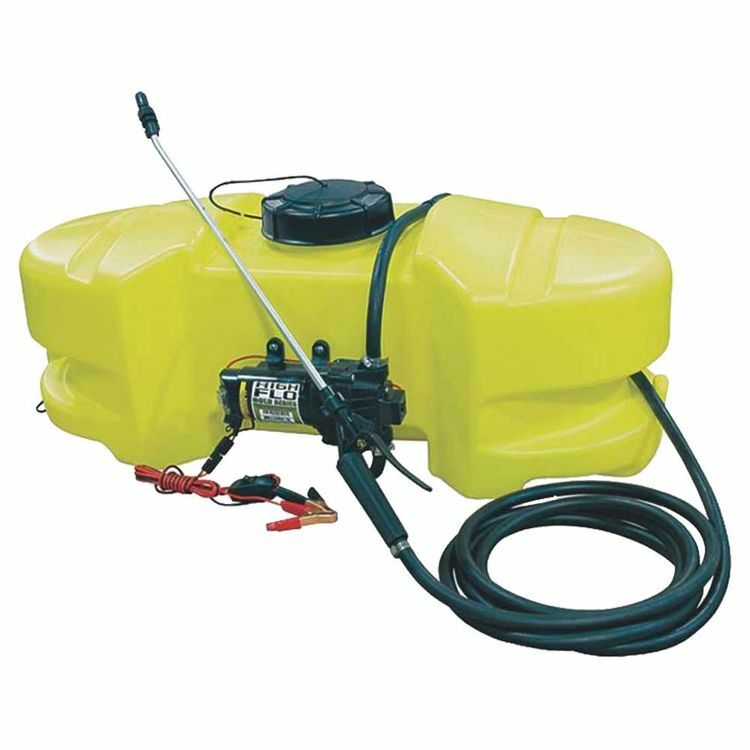 Its tank can hold up to 15 gallons and has a 96" lead wire with a quick coupler and inline switch. Its tough and solid design makes it durable and easy to use with a longer service life. Easy to clean and maintain, it gives a solid performance and has molded inserts at the bottom that's useful in mounting the tank for various applications. 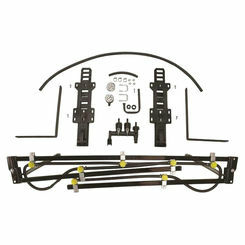 It has deluxe battery clips for immediate use without any hardwiring necessary. Made in the USA by AG South Gold, a trusted leader in the industry that integrates the finest components to complete the way you live. Shipping Dimensions 17.0" x 34.3" x 14.3"
Shipping Dimensional Weight 47.05 lbs.